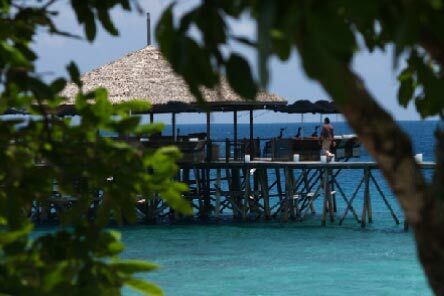 The mesmerising panoramas of Tioman Island inspire adventure and relaxation. Integrating the local environment and culture into our spaces of tranquility and rejuvenation, our guest-exclusive zones are entwined with nature and the fabric of the local culture. Savour gastronomic creations prepared from locally-sourced ingredients at our destination restaurants, enjoy spa treatments that reflect the healing traditions of the indigenous therapies, or pick from a range of products that support the local communities. As our appreciated guests, we would like to extend our unique brand of hospitality. We thank you for choosing us by treating you to these special touches during your stay with us. Asian snacks are brought to you at sunset whilst you unwind into the evening. Take your pick from the array of aromatherapy oils upon check-in, and let us perfume your room with your chosen scent at dusk. 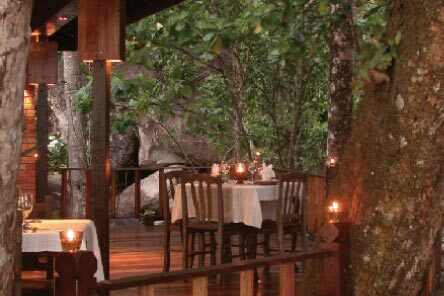 If some place wild seems like the right fit for your private wining & dining, let us set up an unforgettable epicurean experience for you. Please be advised that Tamarind Tioman is currently undergoing an upgrading program. During this period, our full menu will be available at Il Tempio so that you can continue to enjoy our Indochinese creations. 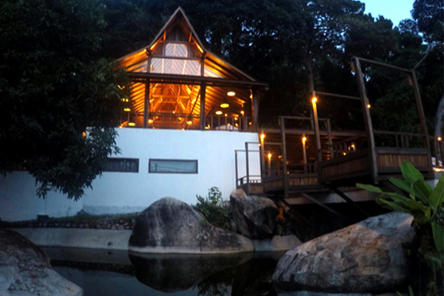 The sister restaurant of the award-winning Tamarind Restaurants in Kuala Lumpur and Singapore, Tamarind Tioman is set against the luxuriant rainforest and exudes an air of Asian elegance. Savour a handpicked selection of dishes, each crafted from heirloom recipes from our community of native chefs. Open daily for breakfast, lunch and dinner. A selection of Western breakfast favourites is also available. The latest addition to a collection of gastronomic destination, Il Tempio offers an array of hearty Italian fare and heartwarming creations that are reminiscent of Italian family dinners. From its signature pastas to succulent cuts of meat, the menu is paired with a selection of fine wines to create the ultimate epicurean indulgence. Open daily for lunch and dinner. Designed to create a memorable sensory and visual experience, the Samadhi Spa harvests the wellness of the mind and body to restore and rejuvenate. Be it a pedicure in a natural cave, a massage amidst the treetops or a soak in the hot tub perched atop a cliff, every treatment is tailored to slowly peel away the stress and frustrations of everyday life. The Samadhi Spa uses products that are created with natural ingredients, as well as botanical extracts in their purest form. Emphasis is placed on the spa's choice of pure therapeutic grade essential oils from the renowned doTERRA brand, which is a world leader in essential oils. These pure essential oils not only invigorate one's emotional state but also offer tremendous healing power to the body in the cellular level. Purity in form, doTerra also sets the standard in serving the environment while helping and nurturing local growers, to create stronger communities. Our boutique carries a range of house-brand Samadhi Spa products, silver & handmade jewellery, and unique Asian antiques. An array of resort merchandise and clothing, ranging from bathrobes to casual beach pants and sarongs, that is made exclusively for Japamala are also available. Browse through a range of house-brand Samadhi Spa products, silver and handmade jewellery, unique Asian antiques, and a selection of resort wear exclusively made for Japamala Resort, ranging from bathrobes to casual beach pants and sarongs. 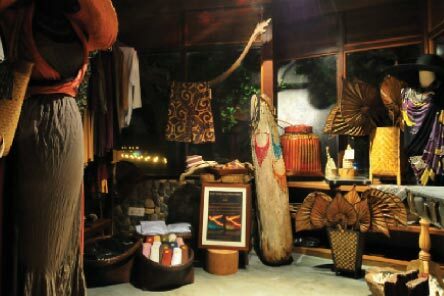 The boutique also offers bags that are crafted by individuals from Malaysian tribes and villages. The sale of each bag goes towards training artisans, the planting of trees, and the conservation of Malayan tigers.